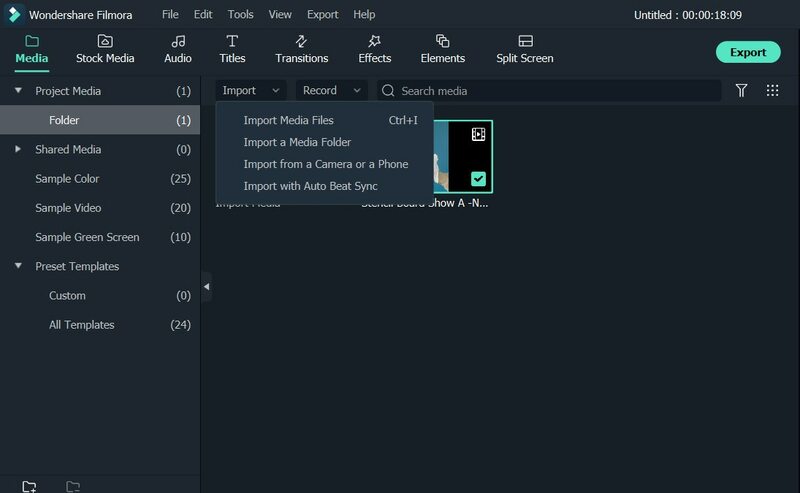 Add logo to creat unique videos for you by using Filmora. I would like to add a logo to the video I created. Is there a possible way to have a logo show for the duration of the video? Well, people in today’s world tend to distinguish themselves in various ways, including the video creation. Yes, adding a logo to the video is a very important feature that will set you apart from others in your niche, or increase your branding. To do this, Wondershare Filmora9 is highly recommended. With it, adding a logo or watermark to all your video files is a piece of cake to you. Meanwhile, you can even set its displaying position (e.g. in one of the corners of the video), showing time duration like only in the beginning of the video, somewhere in the middle or the whole video length. Download Wondershare Filmora9 (Windows 10/8/7/XP/Vista all supported) to enjoy all features. Click “Import” to open a browser window and select source videos from your file folder. Alternatively, you can just drag and drop them to the primary window. When all files successfully loaded, drag and drop them to the timeline. 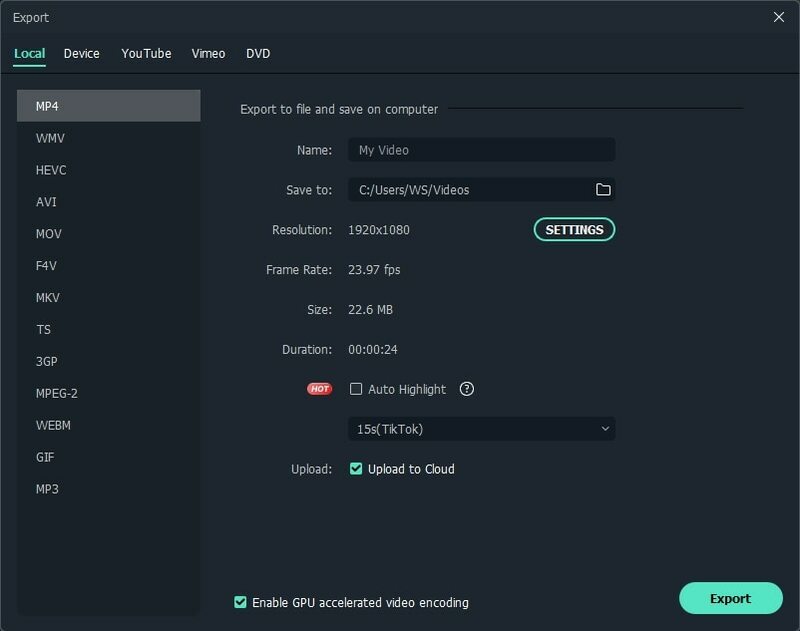 Filmora9 now offers up to 100 video and audio tracks. Tips: This program supports almost all video, audio and image formats out there. For all its supported formats, please refer to the tech spec here. Right now import your logo to timeline. Immediately, you’ll see this logo appearing in the previewing area. By default, it will show in original size to overlap your original video frame. But you can customize the size, position, and direction to make it perfect in vision. To change its place from the beginning part to somewhere in the middle, simply drag to move it to your desired video content. Also, you can drag the duration adjust to fit it to your video length. Actually, you can make your logo a little more transparent if its background color looks too obvious in the video clip. To do this, go to the logo clip in the timeline and then double clik it. In the Transform and Compositing tab, you can make part of the clip opacity, blending mode and scale etc. to make it perfect. Now you've added an ideal logo in your video, it’s time to show off your creation. Click the Export button, you'll find this software provides almost all export solution you need. If you want to upload it to YouTube for sharing, go to this option and fill your account information to share your video directly from this app. Want to enjoy your creation on the go? Just switch to the “Devices” tab and pick up your specific device model instead. If you also want to burn DVD from your creation, insert a DVD disk and you'll get a quality DVD video in minutes. Check the video tutorial about adding watermark. Download Wondershare Filmora9 to have try! How to add logo in post-production with Filmora (mac platform)? I have made full HD logo with more than 72000 Pixels and this crap software made it bad look over my video.Looks like hell bad pixelated .I am using Sony Vegas and Adobe after effects which are the real world.